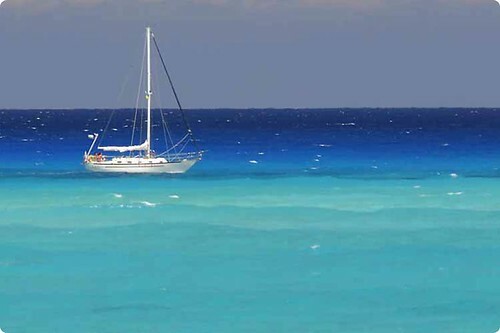 Sitting on the beach of Bimini Bahamas watching the sailboat go by. It is great to have a lifestyle that allows me to enjoy the Bahamas! Do you ever go to auctions and bring home stuff that you have no use for but can't get rid of? 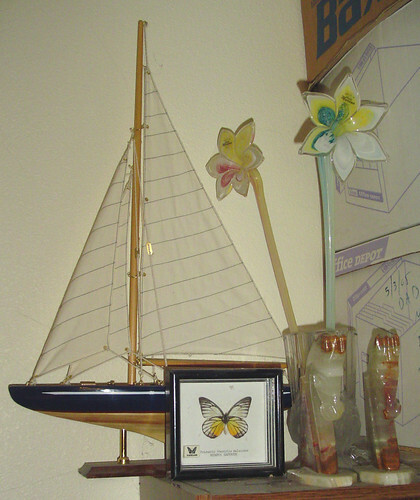 The sailboat was made in China, the horses in Mexico, the glass flowers in Italy, and the butterfly comes from Malaysia.